CBA-6846 Units: 1 Dimensions: 15 11/16" (40cm) wide x 23⅝" (60cm) long x 1⅛" tall This cake board made from 9mm MDF features superior stability. It is strong enough to hold heavy decorated cakes and is reusable. The short polypropylene feet make picking up and transporting the cake easier. The surface is food-safe and grease-resistant so that the cake can sit directly on the base without a cardboard underneath. Unlike picture shown, this board has 6 feet to better support the weight of a large cake. 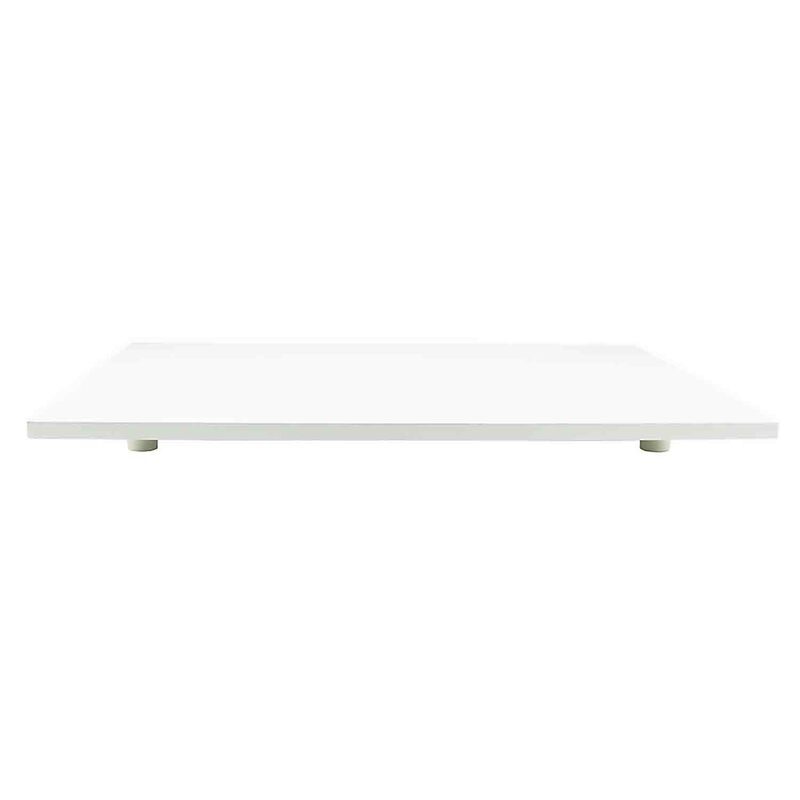 This cake board made from 9mm MDF features superior stability. It is strong enough to hold heavy decorated cakes and is reusable. The short polypropylene feet make picking up and transporting the cake easier. The surface is food-safe and grease-resistant so that the cake can sit directly on the base without a cardboard underneath.